Actor Martin Sheen has registered as an arts student at the National University of Ireland (NUI) Galway, taking classes in English Literature, Philosophy and Oceanography. Star of the acclaimed TV series 'The West Wing', and of many memorable movies including Apocalypse Now and Badlands, Sheen will take a break from his illustrious acting career to immerse himself in campus life. Martin Sheen is amongst the first of 15,000 students who will register over the coming weeks at NUI Galway. Around 1,500 international students travel to Ireland each year to study at the University, with almost half of those hailing from North America. The rich multi-cultural ambience on campus provides a dynamic backdrop to the student-centred and research-intensive university. Dr Iognáid Ó Muircheartaigh President of NUI Galway warmly welcomed the actor, "We welcome Martin as a student at NUI Galway and the city extends to him a heartfelt Céad Míle Fáilte. Martin joins the thousands of students we welcome at this busy and exciting time of year on campus. We hope he will enjoy being part of our friendly, vibrant and diverse community and wish him well in his academic endeavours." Apart from the academic subjects he has chosen, Martin Sheen will find other areas of academic discipline in NUI Galway which fit in with his own particular interests such as the work of the Huston School of Film & Digital Media, and the Irish Centre for Human Rights which will touch a chord with his own interest in social justice and civil liberties. Earlier this year, Martin Sheen was conferred with an honorary degree, by the National University of Ireland (NUI) in recognition of his acting talent and work as a champion of the poor and vulnerable in society. Throughout his life, his actions of non-violent civil disobedience and consistent opposition to war have been the cornerstone of his character. 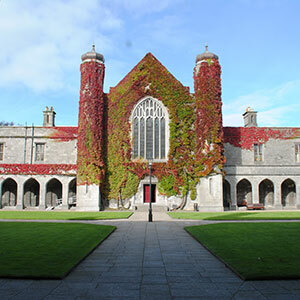 - ends - About NUI Galway Established in 1845, NUI Galway is one of Ireland's foremost centres of academic excellence. 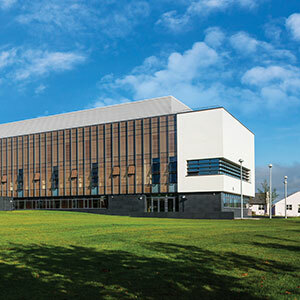 With over 15,000 students, it has a long established reputation for teaching and research excellence in each of its seven faculties – Arts, Science, Commerce, Engineering, Celtic Studies, Medicine & Health Sciences and Law. 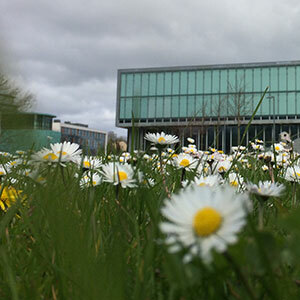 Firmly established in the top tier of research-intensive universities in Europe, NUI Galway attracts internationally-renowned academics, as well as researchers and students of the highest calibre. 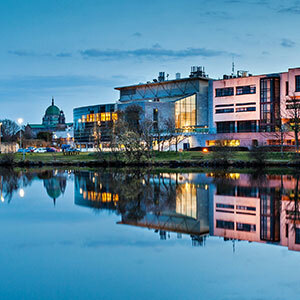 NUI Galway is situated in Galway City on the west coast of Ireland. 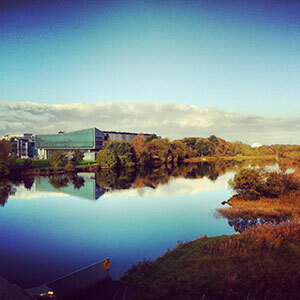 The 250 acre river-side campus is in close proximity to the Connemara Gaeltacht, the largest Irish-speaking area in the country, which provides a unique dimension to the campus. The regular use of the Irish language is an established part of social and academic life, while the city and university reflect the rich cultural ambience of a bilingual, multi-cultural environment. About Martin Sheen The star of the popular show 'The West Wing', Martin Sheen was born Ramon Estévez, in 1940, in Dayton, Ohio to immigrant parents: Francisco Estevez from Spain and Mary Ann Phelan from Terryglass, Co Tipperary. Martin was the seventh of 12 children and still has relatives in Ireland. In 1961, as he began to enjoy the success of his burgeoning career, Martin met Janet Templeton, an Ohio art student studying in New York whom he later married. Together now for over 40 years, they have four children Emilio, Ramon and Renée Estévez and Charlie Sheen, all four of whom have followed in their father's acting footsteps. Martin Sheen has played more than two hundred screen roles including memorable performances in Badlands, Apocalypse Now, Gandhi, Wall Street, The Missiles of October, Dead Zone and The American President. Over 75 national and multinational companies will feature at NUI Galway's Graduate Recruitment Fair, which takes place in Áras na Mac Léinn/Student Centre from 12.00pm to 4.00pm, on Tuesday 31 October 2006. The annual event is an ideal opportunity for current students, graduates and post-graduates to meet prospective employers and find out what's on offer in the job market. Organisations from across a wide range of sectors will attend, including Accenture, IBM, Intel, Kerry Group, KPMG, Medtronic, Quinn Group, SAP, Johnson & Johnson, The Marine Institute, Kingspan, Engineers Ireland, Pfizer, Ulster Bank, Masterfoods and Hewlett Packard. The Public Appointments Service, which recruits for all government departments will also be in attendance and interested in meeting graduates from all disciplines. The Graduate Recruitment Fair is very timely for those who intend getting a foothold on the career ladder as this year it follows one week after some 4,000 students will graduate from NUI Galway. A special service provided at the Fair is a 'CV Clinic', where the NUI Galway Careers Service will review CVs and provide advice and recommendations on how this key document may be improved. Peter Keane of NUI Galway Careers Office, advises those wishing to attend to bring their CVs and take advantage of the opportunity of having so many prospective employers present in the one place, ready to recruit staff. He comments, "Every year, this event goes from strength to strength. The prospective employers will be recruiting for scientists, engineers, administrators, business analysts, language specialists – the list goes on. NUI Galway graduates have an excellent reputation for being highly motivated, used to working in project groups and often with valuable work experience, having participated in our Professional Employment Programme (PEP). It is not surprising that there is almost 100% employment among our graduates every year." The event is co-ordinated by the Careers Service at NUI Galway in association with the Bank of Ireland. Tom Forde, Manager, Bank of Ireland, University Branch, said that he was pleased to continue the bank's involvement in this important and successful event. Individuals and companies interested in participating should contact the Careers Service Coordinator, Deirdre Sheridan, on 091 493 169 or by e-mail at careers@nuigalway.ie. 27 November 2006: From amongst the ranks of its illustrious graduates, NUI Galway annually awards individuals who as a result of their outstanding contribution to Irish and international life have, in a very special way, honoured their former alma mater. Reflecting the Annual Alumni Awards Programme's aim to award those who have gone on to become leaders in their profession or who have excelled in their pursuits at national and international level, this year the Programme has chosen to award: AIB Award for Literature, Communication and the Arts: Seán O'Rourke, RTÉ journalist and broadcaster; Bank of Ireland Award for Business & Commerce: Irial Finan, President of Coca Cola, Bottling Investments; Duais Hewlett Packard don Ghaeilge: Mairéad Ní Nuadháin, RTÉ Commissioning Editor for Irish language and Education Programming; Medtronic Award for Healthcare and Medical Science: Professor Patrick Gullane, Otolaryngologist (Head and Neck Surgeon)-in Chief, University of Toronto; NUI Galway Award for Law, Public Service & Government: Brian O'Donnell, Founding partner of Brian O'Donnell & Partners; Seavite Award for Natural Science: Dr. Reg Shaw, MD of Wyeth's Dublin BioPharma Campus; and TBD Award for Engineering, IT and Mathematics: Patrick & Thomas Coffey, Directors of the Coffey Group. Announcing the awardees, Professor Gerard Hurley, Vice-President for Strategic Initiatives and External Affairs, NUI Galway, said: "Each year, NUI Galway recognises outstanding alumni across many diverse spheres of public and professional life for their exceptional achievements and contribution to society. These outstanding graduates serve as an inspiration for our current students and are excellent ambassadors for their alma mater." Launched in 2000, under the aegis of the NUI Galway Alumni Association, the annual awards celebrate the life-long value of an NUI Galway education and recognise individual excellence among the more than 60,000 graduates worldwide. Former recipients include Mr. Michael D. Higgins T.D. ; Pádraig Ó Céidigh, MD Aer Arann; Maria Mahon, CEO Irishjobs.ie; and Declan Kelly, CEO Financial Dynamics. The awards will be presented to the distinguished alumni at the University's annual Gala Banquet, which will take place in Galway's Radisson SAS Hotel on Saturday, 3rd March 2007. -ends- For further information please contact: Michelle Ní Chróinín/Ruth Hynes, Press Office, NUI Galway, Tel: 091 493361, michelle.nichroinin@nuigalway.ie or Mr JB Terrins, Director of Alumni Relations, 091 495411, jb.terrins@nuigalway.ie Note to editors: For a full list of former Alumni Award Winners visit http://www.nuigalway.ie/alumni/program_alumni_award.html Seán O'Rourke, AIB Award for Literature, Communication and the Arts, graduated with a BA in 1977. He is one of Ireland's leading broadcasters and a stalwart of current affairs programming. After University, he joined the Irish Press Group, as a sports reporter, feature writer and political correspondent. Since 1989, he has been a programme presenter-editor with RTÉ, working on This Week, Morning Ireland, Today Tonight, Prime Time and Family Matters. He has been presenter of the News at One on Radio Once since 1994. Mr O'Rourke also presents The Week in Politics on RTÉ. Irial Finan, Bank of Ireland Award for Business & Commerce, graduated with a BComm in 1977. In his current role as President, Bottling Investments, he is responsible for all Coca Cola Company bottling operations and equity investments worldwide. From 2000 to 2003, Mr Finan served as CEO of Coca Cola Hellenic Bottling Company SA, during which he managed the merger integration of Coca Cola Beverages plc and Hellenic Bottling SA and led the combined company in 26 countries. He is a Fellow of the Institute of Chartered Management Accountants, sits on the Board of Directors of Eircom Group plc., and is a Non-Executive Director and Chairman of the Audit Committee for Alltracel Pharmaceuticals. Mairéad Ní Nuadháin, Duais Hewlett Packard don Ghaeilge, graduated with a BA in 1974. I bhfómhar 2000, ceapadh Mairéad ina heagarthóir um choimisiúnú ar chláir Ghaeilge agus oideachasúla RTÉ. Roimhe sin, bhunaigh sí Léargas agus bhí sí ina léiritheoir sraithe ar an tsraith faisnéise Ghaeilge sin, a ainmníodh do Dhuaiseanna IFTA (Irish Film and Television Academy) 2000 sa chatagóir 'Gnéchlár is Fearr'. Tá cláir shiamsaíochta agus cláir faisnéise eile léirithe aici chomh maith. Chomh maith le cláir RTÉ do TG4 a bhainistiú, lena n-áirítear cúrsaí reatha, cláir spóirt, cláir irise agus cláir do leanaí, bhí baint aici, freisin, le cláir ilchultúir agus oideachais le gairid, mar shampla Turas Teanga, Scannal agus Health Squad. Chuir sí tús leis an gcéad sraith ilchultúir de chuid RTÉ, is é sin Mono, atá ar an aer anois le trí shéasúr agus a bhfuil ag éirí thar barr leis. Professor Patrick Gullane, Medtronic Award for Healthcare and Medical Science, graudated with a BSc in 1970, and embarked on a career in otolaryngology - head and neck surgery. In 1989 he was appointed as Otolaryngologist-in-Chief at the University Health Network in Toronto. In 1997 he was appointed as Wharton Chair in Head and Neck Surgery, Princess Margaret Hospital, and in 2002 as Professor and Chair to the Department of Otolaryngology, University of Toronto. Dr Gullane is recognised globally as a leader in the field of head and neck surgery. He is a Fellow of the American College of Surgeons and a Diplomat of the American Board of Otolaryngology and he has served as the President of the American Head and Neck Society and the President of the North American Skull Base Society, and is the current Vice-President of the Triological Society. Brian O'Donnell, NUI Galway Award for Law, Public Service & Government graduated from NUI Galway in 1974 with a BA and subsequently in 1976 with an LLB. He practiced with one of Ireland's most prestigious law firms, William Fry, where he served as managing partner from 1996 – 1999. In 1999, he set up his own practice, O'Donnell & Partners, specialising in mergers and acquisitions. During the course of his career Mr. O'Donnell has acted for Irish Life plc in its privatisation and the Doyle Hotels in their acquisition by Jurys plc. He has also acted in a number of pro bono cases, including the famous Blaise Gallagher case where a quadriplegic boy received the then largest damages ever achieved in Ireland. He is one of only a handful of Irish lawyers included in the International Who's Who of mergers and acquisitions and has been named in Global Counsel 3000 as Ireland's leading corporate and commercial lawyer. Dr. Reg Shaw, Seavite Award for Natural Science, graduated with a BSc in 1971 and subsequently with a PhD in 1974. He is currently Managing Director of the Wyeth BioPharma Campus in Dublin. Wyeth BioPharma Campus is one of the largest integrated biopharmaceutical facilities in the world. 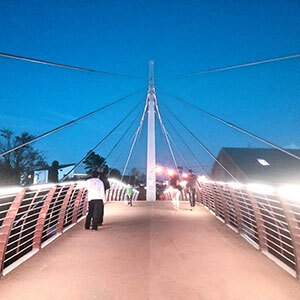 It was officially opened in Dublin in September 2005. The facility produces Wyeth's best known drugs – Enbrel, a treatment for rheumatoid arthritis, and Prevenar, a vaccine for preventing pneumococcal disease in infants. The product cycle - from cell culturing in a test tube through to bulk manufacturing, packaging and distribution – is, unusually for the industry, carried out on site. This model employed by the Campus is considered a frontier-type investment. Dr Shaw is heading the project to extend the product manufacturing cycle from basic product development right through to the finished product. Patrick & Thomas Coffey, TBD Award for Engineering, IT and Mathematics, graduated in 1967 and 1969 respectively with BEngs. The Coffee Group, established by Patrick and joined by Thomas in 1974, is today one of the leading service providers in the building, civil and environmental engineering industry in Ireland and the greater London area contracted with such recognisable projects as the Galway Eastern Approach Road and the renovation of the Royal Albert Hall, London. 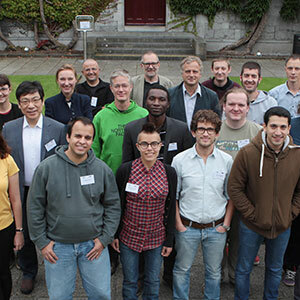 The Coffee Group has been a stalwart supporter of NUI Galway graduates, and is well known as a nurturing ground for the University's engineering professionals and entrepreneurs. It employs students on placement, more than any other company since the initiation of the Civil Engineering placement programme, and sponsors graduate students in Civil Engineering at NUI Galway.